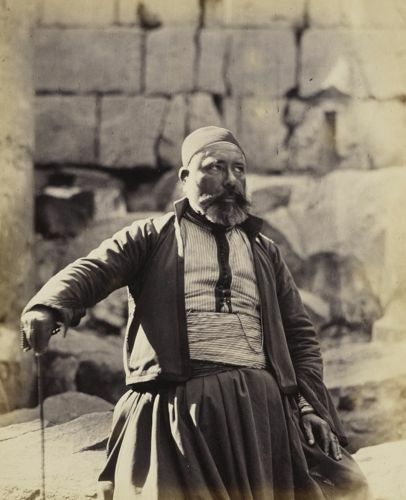 In February 1862, the Photographic News in London excitedly told its readers that the photographer Francis Bedford had been commissioned to accompany the young Prince of Wales on a four-month tour of the Ottoman Middle East and Greece. Just over 150 years later, the cream of Bedford’s photographs is on show at The Queen’s Gallery, at Buckingham Palace, in the exhibition Cairo to Constantinople. For experts, it is the quality of the images that is striking: typically, for the Royal Collection, they have been preserved in pristine condition, since Bedford presented the albumen prints to his royal patrons. 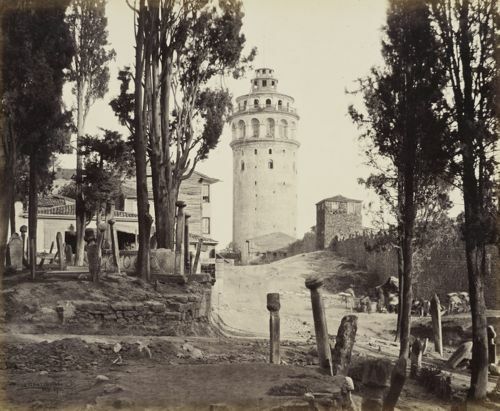 For Istanbullus, one standout picture would surely be the one of Galata Tower, seen in 1862 standing well clear of any neighbouring buildings, amid tumble-down grave markers in a cemetery, and Cyprus trees. The tower has its step balustrades rather than a conical roof. Prince Albert Edward set off just two months after the death of his father, Prince Albert, who had helped plan the trip. After a brief delay, Queen Victoria was determined it should go ahead. At 20 years old he was to visit the greatest sites of Egypt and the Holy Land. The trip was intended to increase his understanding of what was already seen as an enfeebled empire ripe for plucking, and of the need to secure the route to India. Leisure travel to the region was increasing on the heels of major archaeological discoveries and steamships began plying the route to Alexandria in 1840. By 1867, the British travel company Thomas Cook & Son was running package tours to Egypt and the Holy Land. If the Prince was travelling light – in the Holy Land, the party used horses and tents – the 46-year-old Francis Bedford was not. Barely 20 years after the arrival of photography, he was probably the first ‘snapper’ to join any royal tour, but he did not carry an iPhone. On the Royal Yacht Osborne, he brought tripods, a portable darkroom, photographic plates and all his chemical supplies. Bedford would make 192 negatives during the tour, on typically 10 to 12 second exposures of the 10x12 inch plates. Prince Albert Edward apparently took photography seriously as an art form; his mother, Queen Victoria, saw it as a trade. In Bedford’s images from Egypt, Palestine and the Holy Land, Syria, Lebanon, Turkey and Greece, which he clearly admired, it is the glimpses of human and animal visitors that give life and scale to vast stony monuments. A sheep, in the great gateway of the Temple of Horus on the Nile, or a tiny dark figure facing the Sphinx, with a tethered camel. The Dome of the Rock appears, looking surprisingly shabby, lacking the glittering gold on its dome. The often placid calm of Bedford’s pictures of the great historical sites contrasts with a region on the road to tumultuous upheaval. The journalist John McCarthy, held hostage for five years in Lebanon from 1986–91, notes in his introduction to the accompanying book that in 1862, the region was ‘rumbling with revolt and rivalry on local and international levels’. A rare figurative picture is the wonderful portrait of an unknown man at Karnak. In the Holy Land, the Ottoman authorities gave permission to enter the two most sacred Islamic sites, the Haram al-Sharif, the site of the Dome of the Rock; and the Mosque of al-Khalil outside Jerusalem, which had not been seen by a European in 600 years. Bedford took his pictures with 50 Turkish soldiers standing guard. The exhibition is ably curated by Sophie Gordon. In the book accompanying it, she notes how the Queen and Prince Albert probably first saw Bedford’s work when they visited the Photographic Society’s exhibition in June 1854. An artist and accomplished lithographer, he had become an amateur photographer the year before. In 1857, he was asked by Queen Victoria to visit Coburg, Germany to photograph places associated with Prince Albert’s childhood, for an album to be presented as a birthday gift. Another curiosity for Istanbullus is the photograph of the Nusretiye Mosque in Tophane. There are not only neat stacks of cannonballs from the armoury, so to speak, but in addition to the two remaining minarets stands a tower with what resembles a giant knitting needle rising out of it. While Bedford seems to have struggled to get a strong angle on the Haghia Sophia (main image), and was not allowed to photograph inside Topkapı, other images include a panorama of Istanbul from the Beyazit Tower. He would have been familiar with the work, from Constantinople, of James Robertson and, from Egypt, of Francis Frith. European interest in the Ottoman east was growing. A decade earlier, France and Britain had sided with the Ottomans against Russia in the Crimean War, but they were waiting to take advantage of the empire’s weakness. Two decades later in 1882, Britain would occupy Egypt. In the 1850s, John Murray had published the first British guidebooks to Egypt and the Holy Land. The interest in Bedford’s photographs of the Holy Land fed enthusiasm for the region and in 1865 the Palestine Exploration Fund was launched to investigate the regions archaeology, geography and culture; in 1917 British forces entered Jerusalem. The show includes artefacts, including the badge sash and star of the order of Osmanieh given to the Prince by Ali Pasha in the name of the Sultan. 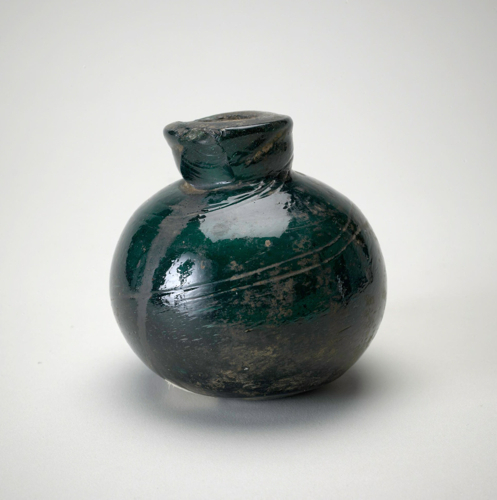 There is also a striking grenade-shaped 12th-century green glass jar said to have been used for Greek fire. It was 40 years before Prince Albert Edward inherited the throne, in 1901 on the death of his mother, as Edward VI, aged 59. He died in 1910. Alongside the Bedford photographs is one by Abdullah Frères of the Prince of Wales in Constantinople. But Abdullah Freres pictures of the city were also on offer at the London Photograph Fair. A visit to the exhibition inspired a trip to the fair. It has been running since 1982, and is a delightful affair in that it is utterly without razzmatazz: tickets were £5 on the door and the dealers are placed cheek by jowl in the ground floor rooms of the Holiday Inn, Bloomsbury. 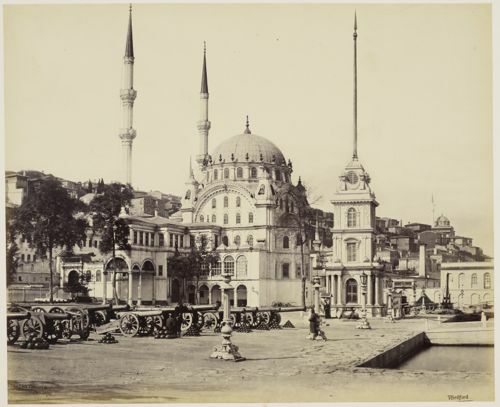 At the lower end, an early photographic album of Constantinople, including 24 original albumen photographs, attributed to Pascal Sébah and dated 1880, were on offer for £1,100. They included a charming image of Sufis. At the higher end was a full panorama at £8,000. The offerings are eclectic; they come from all over the world and any and all eras. It’s a case of browsing and asking. 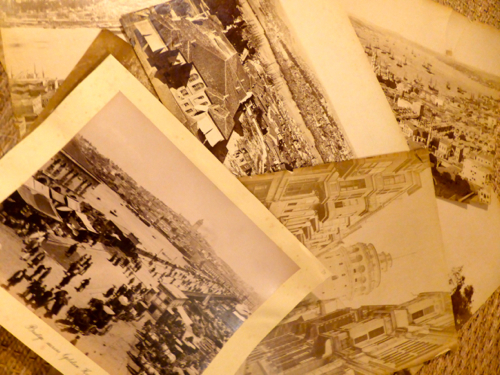 As a novice buyer – my last foray was spending 10 lira on an earlyish Turkish skiing photograph from a street seller in Kadıköy – I bought one group of slightly tattered but charming Istanbul photographs at a price of eight for £70; better, individual large photographs may be priced at about the £100 mark. 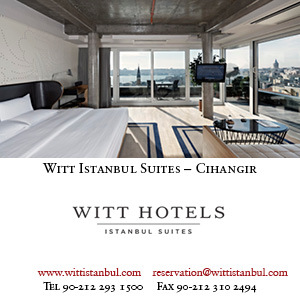 The next edition of the photography fair is at the Bloomsbury Holiday Inn on March 8, 2015. Following that will be on May 24 at Two Temple Place WC2R 3BD. 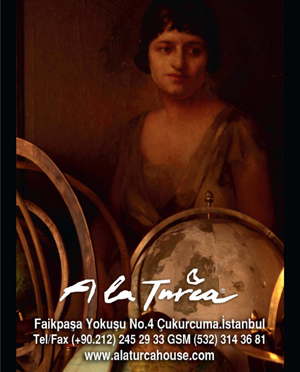 Cairo to Constantinople: Early Photographs of the Middle East runs at The Queen’s Gallery until February 22, 2015. Main image shows Haghia Sophia from the Hippodrome, taken on May 27, 1862. All photos courtesy of the Royal Collection Trust / © Her Majesty Queen Elizabeth II 2014.